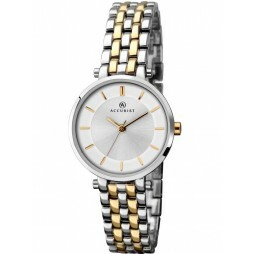 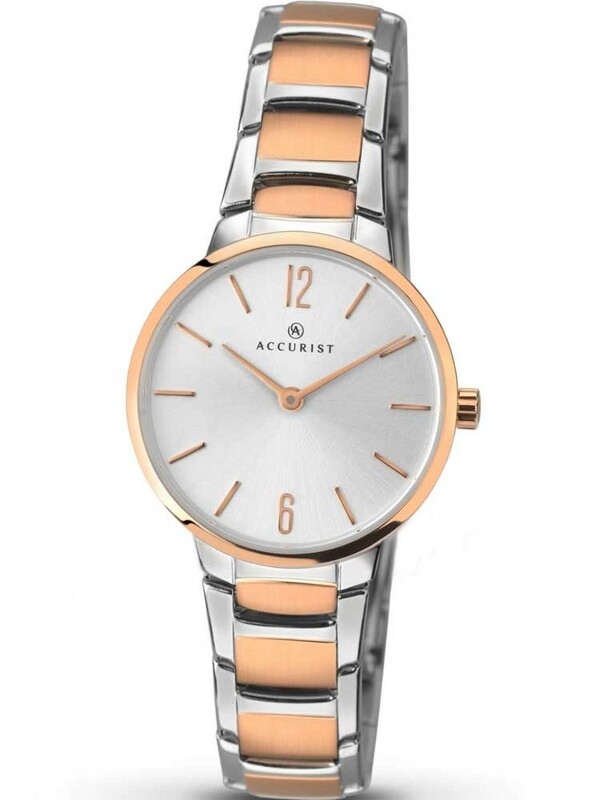 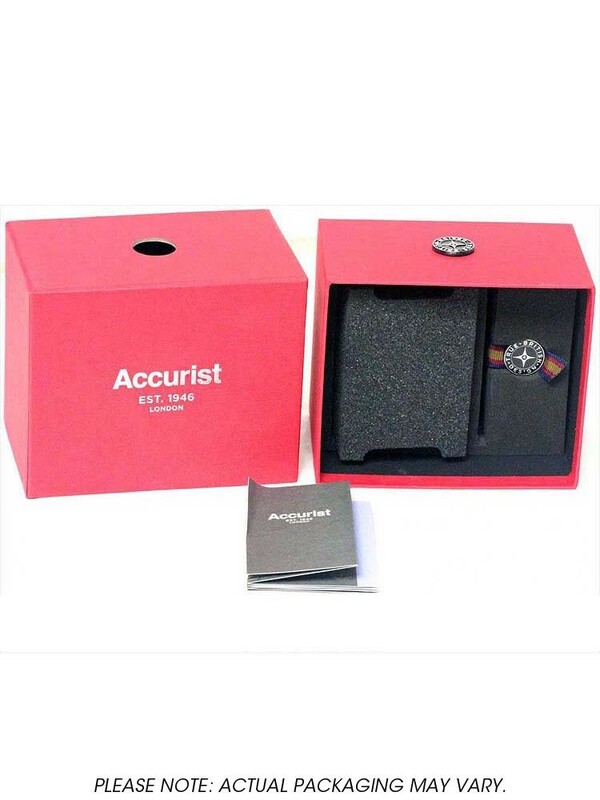 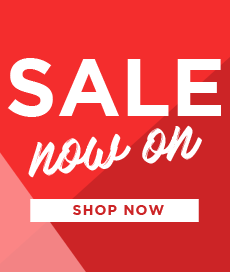 Introducing this stylish two tone stainless steel bracelet watch from Accurist. 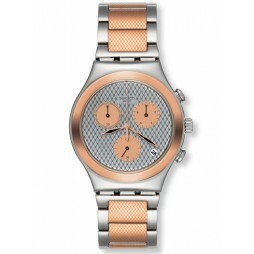 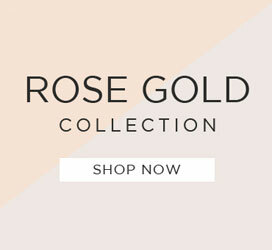 The combination of silver and rose gold colours on the bracelet and case makes this ladies timepiece modern and versatile, with slim fitting rose gold tone hands and hour markers. 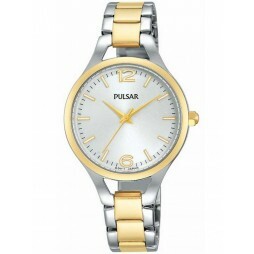 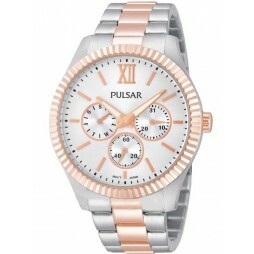 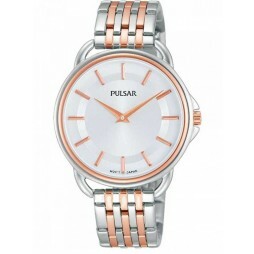 A great watch to suit any occasion.